Prices regain a foothold despite firmer supply. Home > Sheep > Prices regain a foothold despite firmer supply. 02 May Prices regain a foothold despite firmer supply. National lamb and sheep prices at the sale yard closed the week with small gains, although on a state level the story was more mixed. NSW, Victorian and Tasmanian categories performed relatively well, while SA and WA posted a few declines across their lamb and sheep categories. 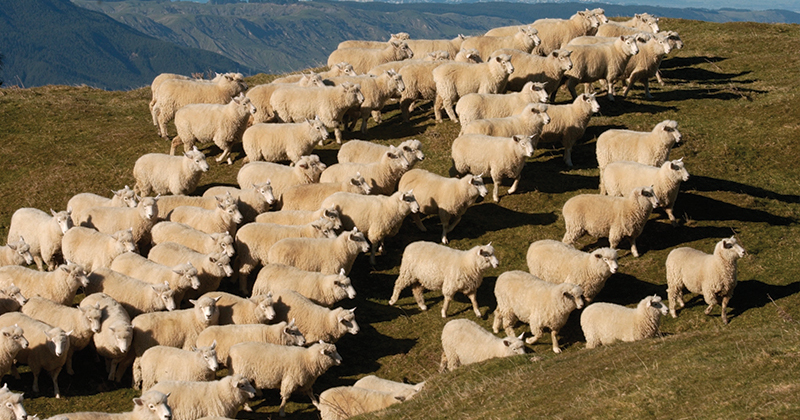 The Eastern States Trad Lamb Indicator (ESTLI) staged a solid recovery, up 4.6% to 597¢. East Coast Mutton improved too, albeit slightly more muted with a 2.4% gain to 426¢/kg cwt – figure 1. In Victoria most categories of lamb and mutton posted gains between the 0-4% range, although Vic Merino Lamb were the star performer with an 18% lift to 591¢. NSW lamb categories all scored a rise within magnitude of 1-3%. NSW Mutton was the best on ground, recording a 5.3% lift to 415¢. Heading to SA, and all reported sale yard categories apart from SA Trade Lambs were unable to break into positive territory, with SA Mutton the laggard – off 18% to 292¢. Further West the price declines continued to hamper most lamb types, the exception being WA Merino with a 3% lift to 604¢. The West Australian Trade Lamb Indicator (WATLI) was nearly unchanged at 612¢, while WA Mutton was slightly softer to post a 3.6% decline to 404¢. Considering the strong supply continuing to come out of NSW which is providing a boost to the combined East Coast Lamb and Sheep slaughter levels, the price improvements on the week are a sign of robust demand. Figure 2 highlights the elevated supply scenario with the combined lamb and sheep slaughter posting a second consecutive week above 510,000 head. This level of slaughter across the East coast is 9% above the seasonal five-year average and a 40% over the same week in the 2017 season. Figure 3 gives a clue as to what is underpinning the current demand. Offshore players are benefitting from a softer A$ over the first quarter of 2018 and keeping Australian lamb and mutton competitive in overseas terms despite the relatively high domestic prices. Indeed, since the January peak in the ESTLI in US$ terms at 550US¢, there has been an 18% decline to finish this week at 450US¢/kg – placing the ESTLI near the lowest levels seen for offshore buyers in over 10 months. No rainfall is forecast for the nation beyond 10mm in the coming week, providing little relief for producers looking for the Autumn break. This is likely to see elevated supply continuing to keep a lid on any significant price gains and, while the A$ continues to trend lower, offshore demand should remain robust. It’s looking like a bit of sideways price action for the time being, that is, until the rains arrive in the South to deliver a bit of a lift, both to spirits and prices.